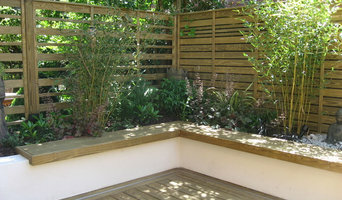 Squareyard are a team of experienced landscape designers based in Manchester. We can provide design services on any projects scale. With a background in landscape construction we have a detailed understanding of the build process and budgets. We can advise clients on how to best achieve high quality solutions with limited funds. An award winning Landscape Architectural practice based in Central Manchester since 1995.The practice is design focussed ,producing distinctive well detailed projects with sensitivity to place and context. The majority of our work has been based around Urban Regeneration in the North West. We have worked at a variety of scales from small-scale interventions to large scale master planning and design projects. David Keegan is a multi-award winning garden designer specialising in medium to large scale domestic and commercial projects. Design ethos; effective garden design should not only enhance the relationship between the buildings and the garden, but also the wider landscape around them. His garden designs set out to create an ever evolving picture that strengthens that connection between people and place through the harmonious use of plants and materials. Our designs are individually tailored to suit your needs whether it be space for relaxing or entertaining, somewhere for the children to play, an area to grow fruit and vegetables or even a wildlife haven. 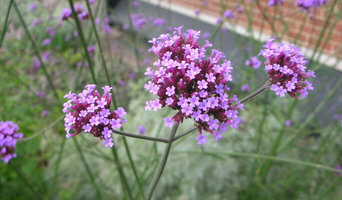 It can be large or small, town or country, contemporary or traditional, low maintenance or a plant lovers haven. SLD is a Landscape Architecture Practice based in Stockport concerned with the design, planning and management of the external environment with a great deal of experience over the years working on public and private gardens. My aim is to provide clients with designs that are original, imaginative and practical that deliver stimulating, attractive outdoor spaces for the clients to enjoy all year round. Here at Prestige Landscapes, we have all the skills and knowledge to achieve that transformation and help you realise your garden's potential. Each customer's requirements and garden space are different so we offer a combination of bespoke garden design with a creative use of materials, planting and years of experience to give you the garden of your dreams. We offer bespoke landscaping and garden design with free written estimates and advice on how to make the best of your outdoor space. 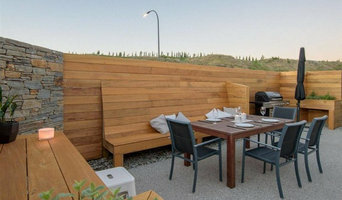 We provide ideas to improve, renovate or remodel all outside living areas of your home using a variety of methods and materials all of which are sustainably sourced. Based in Croston, Lancashire we cover all areas within a 30 mile radius. Heritage Landscape Co is your professional garden design and construction company in North Manchester. With a keen eye for details and aesthetics, you can be sure that we will deliver exactly what we promise - a beautiful and high quality garden for you to enjoy for many years to come. Each project is individually designed and includes preparation of scaled drawings. Whether you have a garden that is in need of some care and attention or you want to completely re-design your garden landscape from the ground up, Heritage Landscape Co is here to offer the professional advice, skills and experience needed to deliver exactly what you want. Heritage Landscape Co have created so many beautiful, unique and functional garden spaces that we're confident you'll have the garden of your dreams at a price that will make you smile. Agathoclis Beckmann Ltd was established in 1992 by the Landscape Architect, Paul Beckmann. 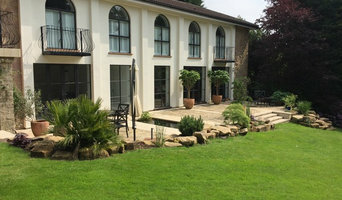 The practice is registered with the Landscape Institute and is based in Lymm, Cheshire. We undertake a wide range of projects in the UK and in Greece, designing many private gardens as well as larger landscape projects. Joanne Willcocks, Gardens by Design, creates beautiful and imaginative outdoor spaces to compliment your home and lifestyle. Spending time outdoors is good for human beings, and at Take Root Garden Design our job is to make that as easy as possible for you. For the DIY gardeners, our beautiful designs can be drawn up with detailed 'how to' instructions for you to build and plant your own garden with the confidence of expert advice and support. Alternatively, we can draw up plans for professional tradesmen, and bring in the local experts to do the heavy lifting. We can oversee and manage their work so that you can sit back and watch your new garden emerge. Fully insured, we work to industry standards, giving you peace of mind that corners won’t be cut. 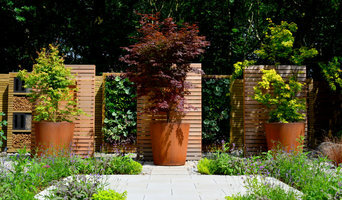 Carolyn Willitts is a chartered landscape architect and garden designer based in Manchester and working all over the UK as Carolyn Willitts Studio. She works with architects, developers and private clients to create beautifully designed and functioning spaces. Here at Morris & Ball Landscape Design, Mike and Paul are passionate and committed to transforming your garden into the outside space of your dreams. Whether it be a classic English or a modern contemporary garden, we have the vision and dedication to plan, build and deliver your perfect outside space. Please don't hesitate to get in touch for friendly help and advice for all your landscaping or design needs. We will be happy to provide a free, no-obligation quote whatever the scale of the work required.